VIENNA: Austria’s government has said it may disband a far-right group that received a donation from the main suspect in the New Zealand mosque attacks. Chancellor Sebastian Kurz said the government was investigating whether the Identitarian Movement Austria (IBÖ) was a “terrorist organisation”. 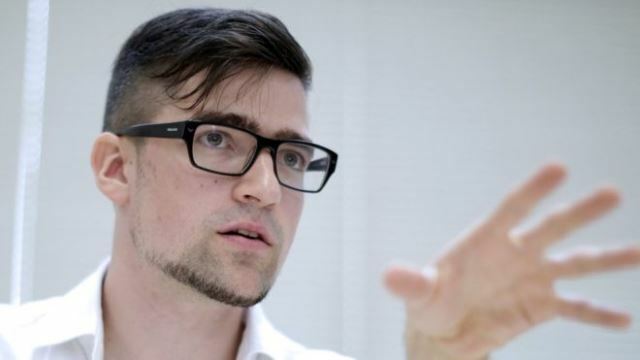 Prosecutors confirmed that the group’s leader, Martin Sellner, received about €1,500 (£1,290) from Brenton Tarrant. Mr Sellner confirmed the donation but denied any ties to the suspect. Mr Tarrant, a 28-year-old Australian and self-proclaimed white supremacist, has been charged with murder in connection with attacks at two mosques in the city of Christchurch in which 50 people were killed. “We can now confirm that there was financial support, and so a link, between the New Zealand attacker and the Identitarian Movement in Austria,” Mr Kurz said. “Our position on this is very clear, no kind of extremism whatsoever – whether it’s radical Islamists or right-wing extremist fanatics – has any place in our society,” he said. He said the IBÖ would be dissolved if it was deemed to be a terrorist group. Mr Kurz’s own conservative Austrian People’s Party is in a coalition with the far-right Freedom Party, making Austria the only country in Western Europe with a far-right presence in government. Freedom Party leader and Vice-Chancellor Heinz-Christian Strache said on Wednesday that his party had “nothing to do with the Identitarians”. In a video posted online on Monday, Mr Sellner said he had received an email containing a “disproportionally large” donation from a person named “Tarrant”. He said he had sent a “thank you” reply as he did with other donations. “I have nothing to do with this terror attack,” Mr Sellner said, arguing that his organisation was a peaceful anti-immigration group. He said investigators raided his flat in Vienna on Monday and seized his phone, computer, and other devices.